That’s the question asked to participants at the beginning of the value-creation workshop BuildPalestine gave to our friends at Thalassemia Patients Friends Society (TPFS) in Ramallah. It was a simple icebreaker for the event on one hand, but also a way to learn more about the participants and the way they think. The quotes you find in between paragraphs are all answers to the above question. Follow through this blog to learn how we, alongside the workshop’s participant, got inspired. TPFS is a Ramallah based NGO that supports patients of thalassemia, a blood disorder that affects hemoglobin production in the body. The organization runs different projects that aim to better the lives of patients, to offer hope and opportunity, and promote mental health. They also run awareness campaigns and workshops for the general public and community. The workshop aimed to explain what a business plan looks like, and to transform traditional business ideas into ones that are more innovative, more unique, and ones that capture value. Ultimately the BuildPalestine team hoped to, in a way, provoke the way these young entrepreneurs perceived and expressed business ideas. Prior to the session, we conducted short one-on-one interviews with the attendees. We aimed to understand their personal needs to tailor the session accordingly. At the workshop, we presented the components of a mission statement including vision, mission, and goals. We emphasized that a business’s vision should come from a person’s passion, and not necessarily the goal to make money. In an environment where people are often shut down, and where dreaming is obstructed, imagination is a key word, and the workshop didn’t fail to underscore it. The workshop attendees were urged to think about what it is that motivates them, and to look for sources of passion and inspiration. Several of the attendees had solid business ideas in mind, while others developed theirs from scratch during the workshop. 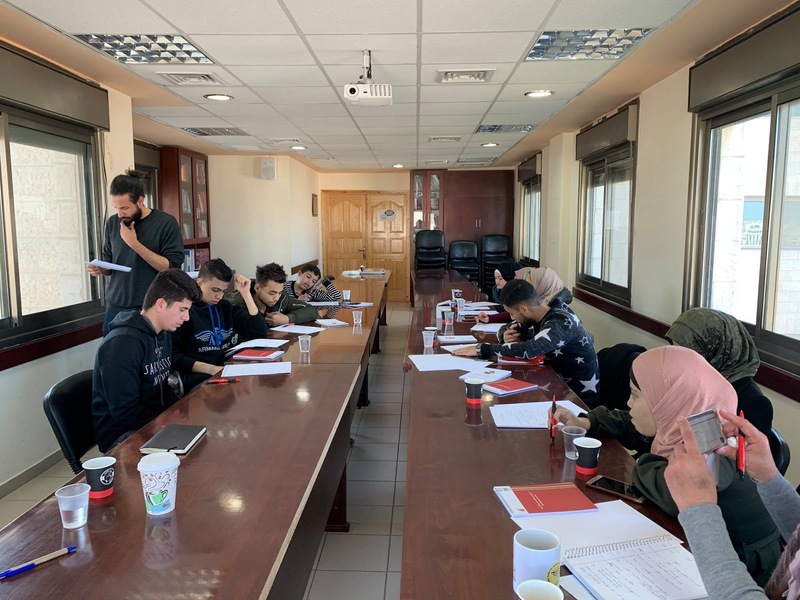 The workshop then aided participants in understanding business and marketing concepts such as pricing strategies, advertising and promotion, objectives, and action plans - and applying these concepts to their business ideas. Many business ideas surfaced on the table. We had an artist in the group, who was developing an “art candle” business with his sister. Meanwhile, another two participants identified a business opportunity in their village after noticing there wasn’t a single bookshop to accommodate the town’s two schools and nearby college needs An attendee, on the other hand, wanted to establish a care center for old people, while another wanted to establish a center to help people with special needs. With the help of the workshop, the attendees discussed the products and services to be offered by each of their business ideas. While “every design is a redesign” of a previous product or service, we encouraged the participants to focus on what makes them unique and what sets the business apart. Our last workshop with TPFS helped equip the young entrepreneurs in the room with the tools they needed to take the next steps to developing their businesses. We had created a safe space for the our participants to create and share ideas, to challenge one another, and to better one another. We left our final workshop with hope that our attendees will do amazing things.